EVENT - Christmas Floristry- new ! 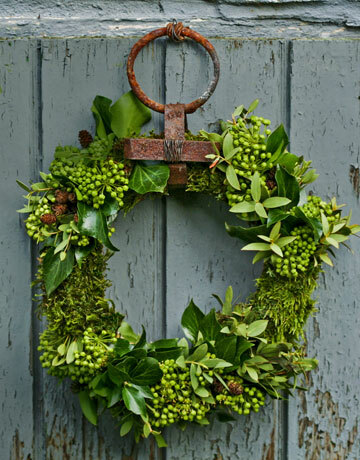 For the first time Darling Buds of Sussex will this year introduce a couple of exclusive creative wreath- making workshops for the lovely ladies in and around Lewes. All materials are entirely natural, fresh and luscious including pine fir, eucalyptus, twigs, cones, berries, cinnamon sticks and all manner of dried fruits ......not a shiny red ribbon or glittery bauble in sight ! If you are a small group of local ladies (up to 8 ) looking for a fun festive activity, then why not enquire about an exclusive 2 hour workshop........ or indeed if you have that creative itch and just want to have your own specially designed wreath for this Christmas season -then please get in touch to enquire about availability. Contact Tracey @Darling Buds of Sussex on 07730 456542 for more information. Come join the fun! Yo ho ho !